To Make 90 Out of 100 Foul Shots! Everything You've Been Taught About Basketball Shooting is Wrong. Improve Your Foul Shot and 3- Point Shot Percentages Up to 25%. The Galo Basketball Shot Making System will Dramatically Improve Your Basketball Shooting Percentage… Guaranteed! Basketball shooting legend Coach Roger Galo guarantees to increase your foul shot and 3-point shot percentages with The Galo Basketball Shot Making System. Coach Galo knows why players miss shots… even when other coaches and experts are stumped. 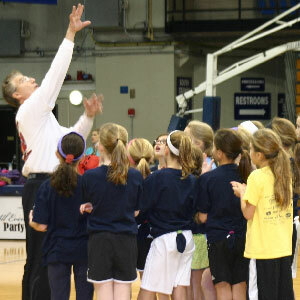 Coach Galo will start to transform and increase your basketball shooting percentage within the first 24 hours! The Galo System is so effective it can improve a player’s accuracy by up to 25%. Coach Galo teaches one-on-ones, conducts clinics, hosts camps, and works with teams at all levels from AAU through to the pros. There are no gimmicks! There is no “catch” to what Coach Galo has to teach you – just a proven system that all basketball players can learn!